As well as an account number, sort code and IBAN, bank accounts can have a bank identifier code (BIC, previously known as SWIFT address). Since the introduction of SEPA payments, some banks require people to enter BIC and IBAN of the account that someone makes a payment too. 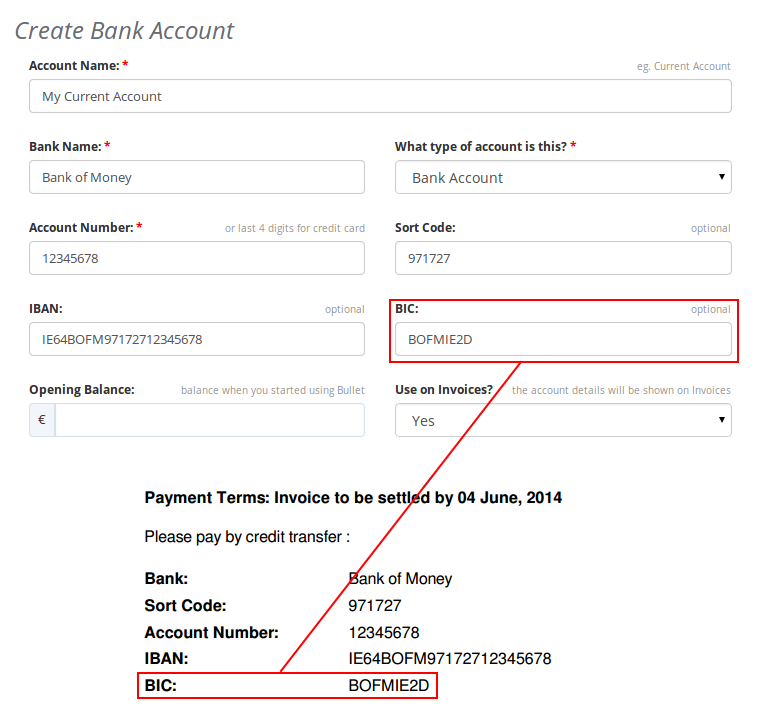 Some of your clients may need to know both your BIC and IBAN to pay you through their bank, so you can know enter the BIC of your bank accounts in Bullet, and it will automatically appear on your invoices. 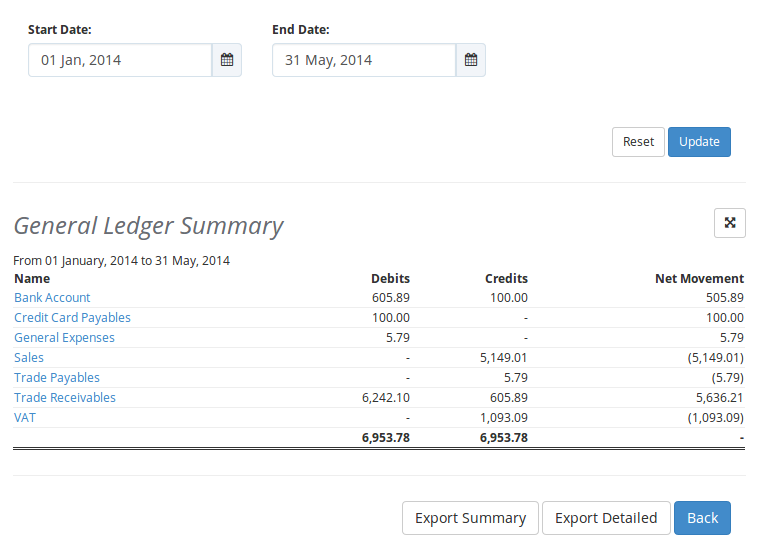 We have added a summary and details general ledger report under the ‘Reports’ section. You can change the dates, as with other reports, and see the general ledger summary report for those dates. Click on the ‘Export Detailed’ button at the bottom of the report to get an excel spreadsheet with the details of all the transactions that have affected all the general ledger accounts between the selected dates.